These award winners will have you lining up for the next round. From the bottle or from our new kegs, these champions are ready to battle their way into your glass tonight! 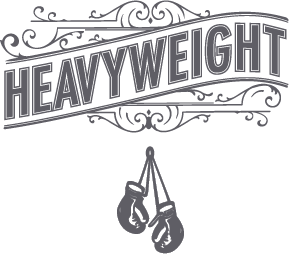 The Heavyweight champs will have you out of your seats and cheering for the…rich and flavorful Cabernet…citrus and apple flavors of the Chardonnay… smooth tannins of the Merlot… dark fruit flavors of the Petite Sirah… spice and fruit flavors of the Zinfandel… rich berry and satin finish of the Knockout Red… complexity and spice accents of the Pinot Noir…and the newly introduced, long layered fruit flavors of the Dry Barbera Rosé! 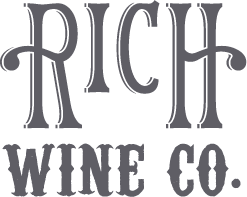 Our grandfather, Anthony Sr., started his wine career in 1940 selling gallon jugs of his father’s homemade red wine from a pushcart in their Brooklyn neighborhood…. 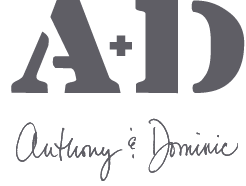 After moving his family to California, he handed down two names that appear throughout our family tree: Anthony & Dominic. 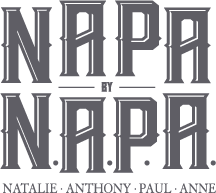 Our wines, including North Coast Pinot Noir, Chardonnay and Rosé, are tributes to the family members that carried our names before us. FAMILY RELEASES - FROM OUR DINNER TABLE TO YOURS. With so much excitement, we are pleased to introduce our newest Sparkling wine releases! Our Brut and Rosé Sparkling Wines are light, crisp, memorable and will have you ready to toast with your friends and family this holiday season. This year we celebrate the SCOTTO heritage with our sparkling wine. Cheers! GLANCE THROUGH THE FRONT LABEL TO MEET NOLA GRACE, A WOMAN WHO FINDS GRACE WITHIN HER STRENGTH, LIKE TWO OF THE WOMEN IN MY LIFE, NOLA GRACE SCOTTO & GRACIE SCOTTO. Silver Peak captures the pioneering spirit of California with these North Coast appellation releases. Like the fabled prospectors of years past, our winemakers seek hidden treasures among the finest growing regions. In California's North Coast, we searched the hills and valleys for vineyards that provided the fruit for these exceptional selections. Silver Peak's elegant style and strong varietal character reflects the long-standing reputation of the quality fruit sourced from some of the North Coast's finest vineyards. Great taste starts in the vineyard and is coaxed into the glass under the watchful eyes of Silver Peak's winemaking team. 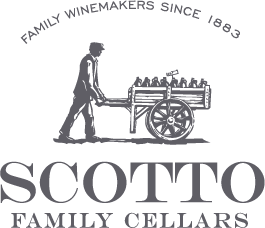 Winemaker Paul Scotto has watched Rare Blends grow from a "twinkle in his eye" in 2008 to become Scotto Cellars best-selling brand. ​"Blending gives us the freedom to create a consistent flavor profile that works for a wide range of consumers and occasions. People may not realize it, but most of the wines we drink are blends. Even if there is one varietal named on the label, odds are that another varietal or two are included to enhance the complexity and flavor profile. 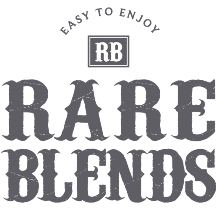 We tested Rare Red, the original release and still our best-selling Rare type, with a variety of blends and flavor profiles before we found the one that had the most appeal."